New Jersey patients can now cite their opioid addiction as a qualifying condition to get medical marijuana, state officials announced Wednesday. The news came as a welcome change to officials and advocates trying to expand the state’s medical cannabis program and find innovative ways to battle an unrelenting opioid crisis. Previously patients struggling with addiction could get medical marijuana only if they had developed their addiction by taking prescription opioids to treat chronic pain. According to officials, more than 3,000 people died of overdoses in New Jersey last year. The addition of opioid addiction to the list of qualifying conditions in the state’s medical marijuana program takes effect immediately. The state is also removing a health insurance hurdle that officials said makes it harder for patients with an opioid addiction to get treatment. 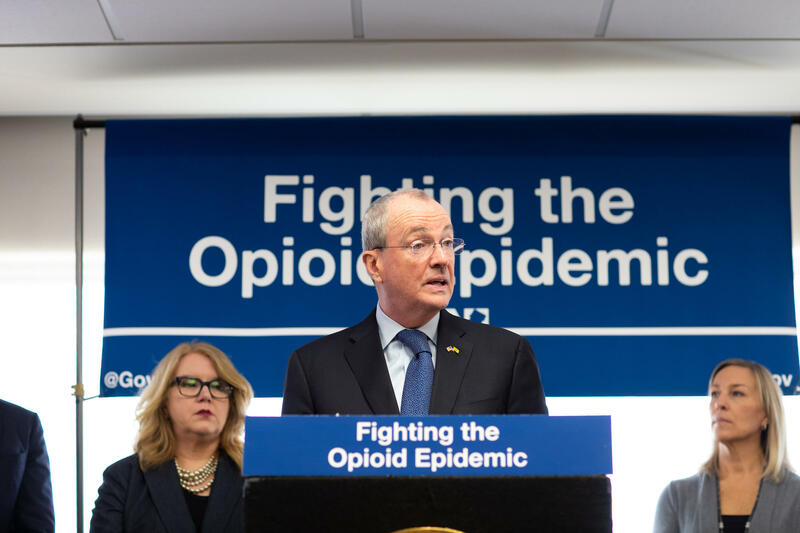 Murphy announced that Medicaid would scrap the need for patients to obtain prior authorization before accessing medication-assisted treatment. Murphy said he hopes the change will allow more patients to be treated. Earlier in the day, first lady Tammy Murphy announced a statewide initiative called Nurture NJ to reduce the number of maternal and infant deaths during childbirth. The effort will inform expectant mothers on state services available to them and educate doctors on common complications associated with childbirth and the protocols to treat them. According to officials, New Jersey ranks 45th among state in its maternal mortality rate.